“Curious” was the word of the day at laboratory breakout sessions during this year’s 15th annual HMS Explorations: Discovering Paths to Biomedical Science program. The day-long event, sponsored by the HMS Office for Diversity Inclusion and Community Partnership, is geared toward students from Boston and Cambridge middle schools and aims to spark their interest in science and medical careers. After a visit to BIDMC, a group of Boston middle school students learned the surprising truth that things like video games and mouse brains can actually be useful! Participating in Harvard Medical School (HMS)’s 14th annual “Explorations” program, BIDMC staff helped open the minds of 37 local middle schoolers who visited BIDMC on Oct. 22 for a hands-on exercise in the “real world” applications of classroom science. Each fall, approximately 350 sixth, seventh and eighth grade students visit Harvard Medical School (HMS) for a one-day program from Boston and Cambridge middle schools for a morning of presentations and panel discussions about science careers. The students are then hosted by faculty and research associates for laboratory visits and first-hand exposure to scientific research and activities. Our research associates were a combination of 35 different laboratories including Beth Israel Deaconess Medical Center, Brigham and Women’s Hospital, Boston Children’s Hospital, Cambridge Health Alliance, Dana-Farber Cancer Institute, Emmanuel College, Harvard Medical School, Harvard School of Dental Medicine, , Harvard School of Public Health, Harvard University, Immune Disease Institute, Massachusetts College of Pharmacy and Health Sciences, Massachusetts Eye and Ear Infirmary, Merck Research Laboratories Boston, Schepens Eye Research Institute, Tufts University, and Wheelock College. 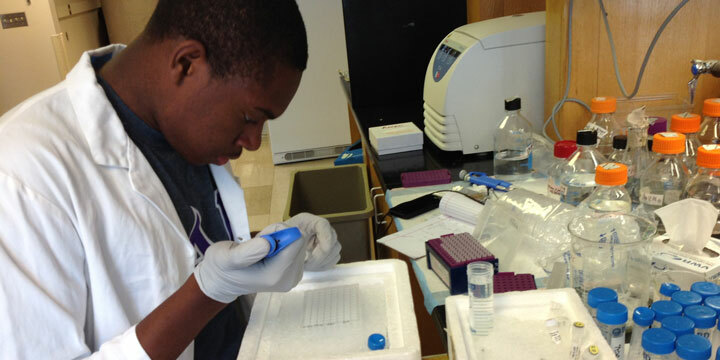 This program exposes students to research laboratories, science career paths and discussions about the importance of academic preparation. Check out some of photos taken during this science filled day! The primary objective of the program is to provide students with additional experience outside the classroom to enhance their science and mathematics curricula. The highlight of the program is the shadowing of laboratory scientists who are on the HMS faculty or who are postdoctoral fellows at Harvard Medical School, Harvard School of Dental Medicine or Massachusetts College of Pharmacy and Health Sciences. Site visits take place in the teaching hospitals and professional schools of the Longwood Medical Area, and HMS labs in Cambridge. 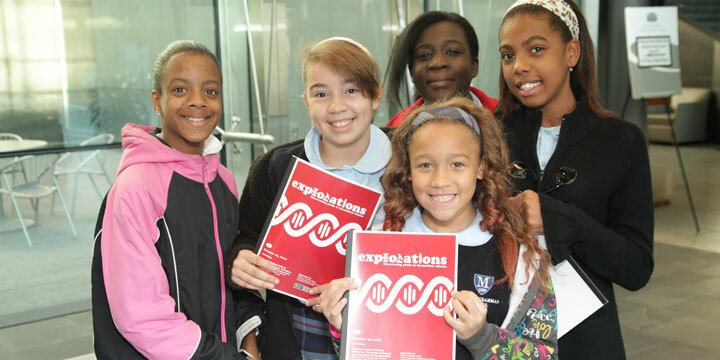 As an extension of the Boston Science Partnership, Northeastern University and UMass Boston also participates in Explorations by offering lab visits to students from selected schools.